Prior to Cote d'Ivoire rap group Kiff No Beat's founding in 2009, 90s-born emcees ElJay, Black K, Didi B, Joochar and Elow'n belonged to separate groups, JEKBOYZ and KIFF BLACK, before merging to become Kiff No Beat. After a pretty rocky start, they started to generate hype, particularly after coming in first on televised hip-hop competition FAYA FLOW. Since then, they've released two albums, 2011's Cadeau De Noël and most recently Pétards D'Ados, which came out in March of this year. 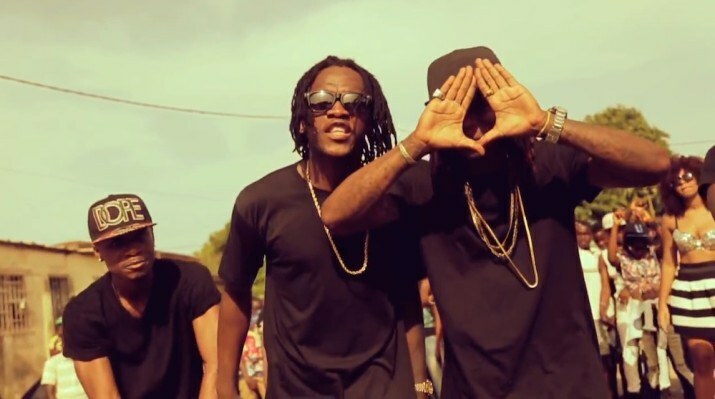 Their latest video, "Tu Es Dans Pain" (meaning "You're in trouble" or "You're a loser"), demonstrates the KNB formula: a good dose of U.S.-inspired trap beats and rapping in Nouchi (a popular Ivorian slang). Working closely with Cote d'Ivoire producer Shado Cris, Kiff No Beat are self-produced through the Da Carmen label. The group has also used their increasing popularity to launch a clothing line focused mostly on tees (which you can catch in the video). Take a look at Kiff No Beat's Abidjan-shot video for their "Nae Nae"-inspired club anthem "Tu Es Dans Pain" below.